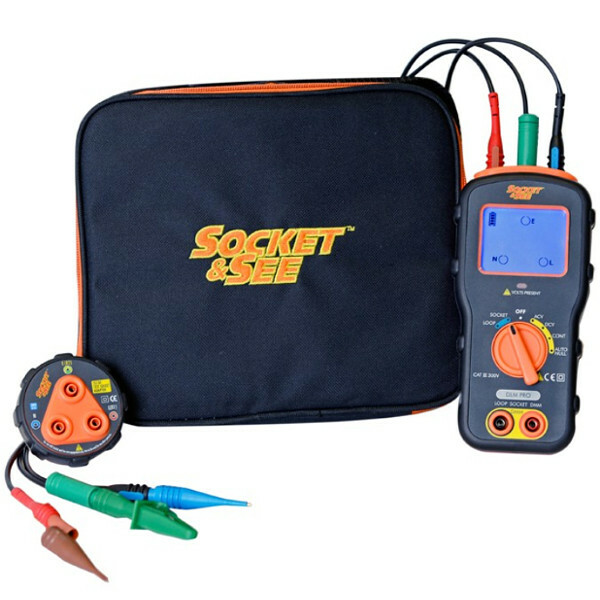 Socket & See DLMPRO Combined DMM, Loop & Socket Tester is a robust, user friendly, all in one electrical tester for gas & domestic appliance engineers. Combines Loop Tester & DMM functions. The NEW Socket and See DLMPRO has been specifically designed with the gas and electrical appliance engineer in mind. It combines a socket test, loop test and selected basic multimeter functions to create another Socket and See First. The DLM PRO is the first tester to combine all the test procedures undertaken in a service and maintenance situation as followed by some of the UK’s leading appliance care companies. Development was undertaken alongside key customers and with a specification aimed reducing costs for the user. Combining the individual tests into a compact and handheld tester means less things to carry and less complicated products to understand. Its robust, ergonomic design and colour coding make it safe and simple to use. 18th Edition FastTrack is a 1-day City & Guilds accredited course, fully updated & referenced to the 18th Edition wiring regulations BS7671:2018 (Blue book). 18th Edition course is a 3-day City & Guilds accredited course, fully updated & referenced to the 18th Edition wiring regulations BS7671:2018 (Blue book). 18th Edition over 6 evenings - City & Guilds accredited course, fully updated & referenced to the 18th Edition wiring regulations BS7671:2018 (Blue book). This City & Guilds 18th Edition course can be tailored & enhanced to suit your specific requirement City & Guilds accredited course, fully updated & referenced to the 18th Edition wiring regulations BS7671:2018 (Blue book).